10 steps to integrate CRM and Social Media? We know that we need more than 10 steps. How many? Many more! It all depends on the level of maturity your organization has within your own CRM ecosystem and most importantly in the way you manage customers today. If you are still thinking products and branding, you still have a long way to go to integrate CRM and Social Media. Why? Integrating CRM and Social Media needs to be about converting conversations into transactions. It is about going beyond the Facebook Likes, Twitter Followers and Video views. We can talk about transparency, openness, collaboration, engagement and so on, but at the end of the day it is about improving sales and reducing cost in the new business model where we, the people (customers, influencers, advocates, etc. ), are in control of the conversation. Many of my customers and prospects in Latin America have been asking me how to connect these conversations with CRM. Some of these companies are at different levels in understanding what Social CRM is all about. Some of them just have a Facebook page, some have private or public communities, others are just listening, and some have Twitter integrated somehow into their CRM. I have seen agencies doing all of the social media work, or just part of it, and many companies have a need to integrate social media monitoring with the call center. Who are these companies in Latin America? Mostly B2C companies such a CPG, TV/Entertainment, Call Centers outsourcers, universities, hotels, telecommunications and banks. Some of these companies are small business in Latin America, local and national companies, others are multinational corporations and big brands. But all of them are looking to engage the customer with Social CRM. The need to implement Social CRM is definitely there. By looking at my customers needs, learning from my recent engagements, by watching the market and conversing with fellow analysts and consultants, I came up these 10 steps to start implementing Social CRM. 1) Understand your Conversation Map. Listen and understand the social media conversations from advocates to influencers and from detractors to consumers. 2) Understand the Social Graph of your customers. This is very important - it refers to your current customer in your CRM system, marketing database or customer datamart. Are they on Facebook, Twitter, blogs, forums, external communities, etc., etc? 3) Have a Social Graph of your Best Customers. Are your best customers using social media? Can you start engaging them for your own pilots? Can you engage them? What other types of customers can you engage? 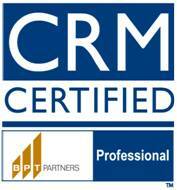 Again, these are known customers in your CRM system or Loyalty Program. 4) Establish processes & requirements to meet your goals and objectives based on current needs and the analysis from the above 3 steps. 5) Get ready to put together a social media plan based on the requirements and processes. Do you need to be on Facebook? Do you need call center integration? Do you need to integrate social media marketing with your marketing automation? Do you need a community to provide ideas and collaboration for customer support? Do you have a Social Media Manager ad policies in place? 6) Create specific use cases for your integration points to capture data. This is not just about technology but also about customer experience, culture and processes. 7) Have your traditional CRM ready for social media. Do you have the workflow, processes, rules, data structure, training, call center, people, etc., ready to manage communities and social media channels? 8) If your customer or influencers are already collaborating using social media, is your enterprise ready to collaborate internally? i.e. Social Business, E 2.0. 9) Like in CRM... Do you have the culture, people and change management attitude to really change? 10) Improve your CRM ecosystem - this should be step 1. Fix what is not working today! What do you think? Would you add more steps, combine some of them? Start with a strategy right away? I would love to read your comments! At the end, I think you definitely need steps 1 through 7. Start with pilots and small phases. Measure, learn and retry. Validate your success metrics, show ROI (short and long term ROI)... but start somewhere. What to know more about these 10 steps? I have the Spanish presentation that I gave at the SAP Forum Mexcio about a month ago. Here is the English presentation I gave a few weeks ago at the Online Marketing Connect event (this was a webinar series with other speakers, you can listen to the webinar by registering here, go to Events, Focus Weeks, Social Media).